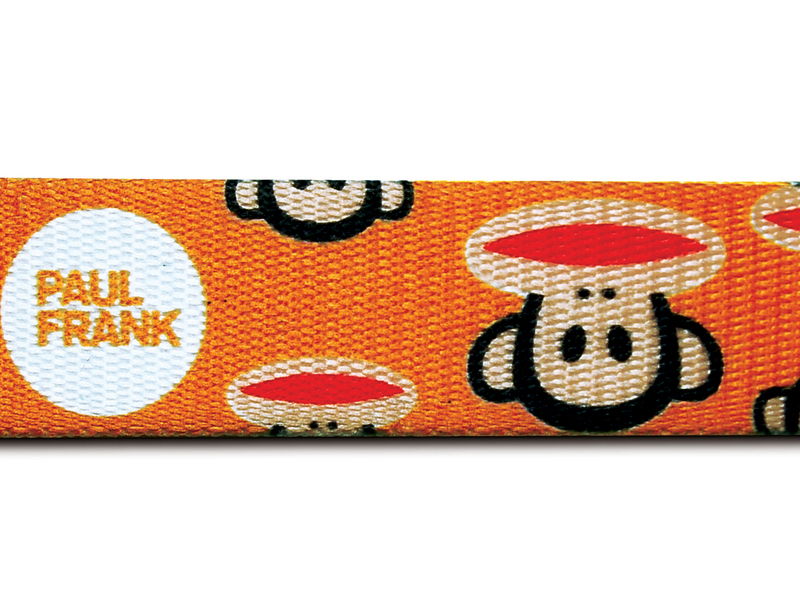 Your Paul Frank collar is not complete without its matching Paul Frank leash. Made of the same strong webbing as the collars, these leashes will show off your fun side, as well as your pet s personality. 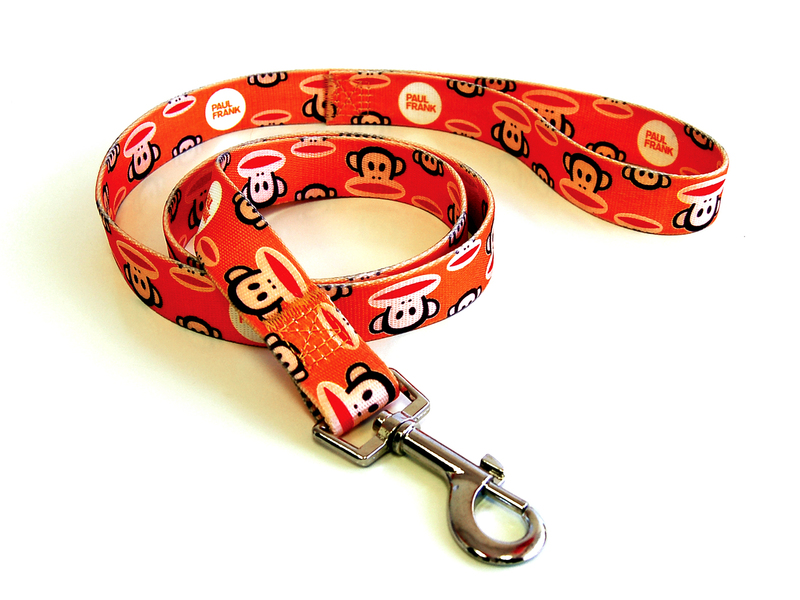 Leashes are printed on both sides and are 5 feet in length. Sturdy metal buckle is "box stitched" for extra safety. Medium: 5/8 in. (1 1/2 cm.) wide, 5 ft. (152 cm.) long. Long: 1 in. (2 1/2 cm.) wide, 5 ft. (152 cm.) long.